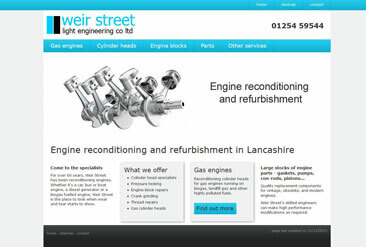 Website revamp for a family engineering business. 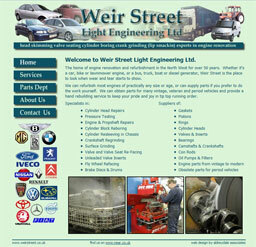 Weir Street Engineering's website was one of the first we built, way back in 2006! The design may seem a bit dated now, but it just shows how websites have changed. The typical screen resolution would have been XGA (1024 x 768), SXGA (1280 wide) monitors were still considered a bit flashy, and as for looking at a site on a mobile, well do you remember just how bad WAP was? However, the site stood the test of time and, as the business owners found it paid for itself within weeks of going live they were happy. And because it was built in plain ole HTML, it still worked. But time moves on. Technology (and fashion) change, and competitors updated their websites, so a change was needed. The site was built with the Panpage content management system to make it easy to update and uses the ready-made theme, 'Black Box', to keep costs down. You can see the site here.